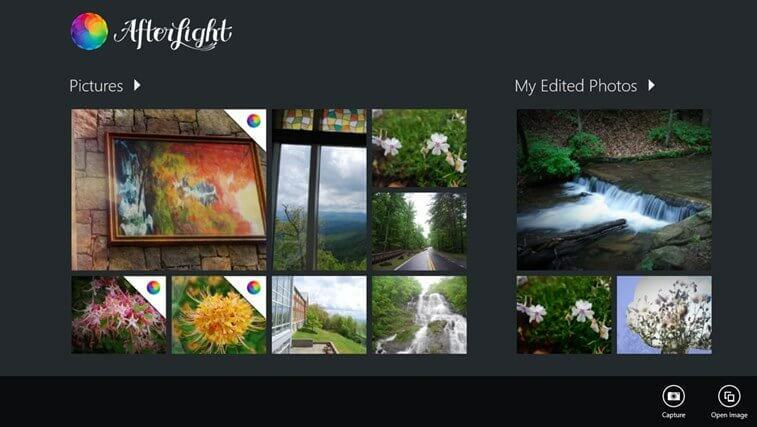 The popular Windows Phone photo editing app Afterlight is now a universal app and available for your Windows 8.1 PC or Tablet. Afterlight is a powerful photo editing app that allows you to make quick edit and adjustments to your photos with a load of different filters, textures and frames. To this point the .99 Cent app has been only available on Windows Phone but the update today, version 1.1.0 for those keeping score at home, is universal. That means if you have already bought the app for Windows Phone you now have it available for your PC or Tablet. This includes any in-app purchases you have made as well as the app itself. Use any of our 8 uniquely made adjustment tools to enhance your images to perfection with ease. Afterlight has 27 fully adjustable Original Filters, 14 Guest Filters by various Instagram users, and the Seasons filter pack including 16 filters. Afterlight includes a range of real and natural light leaks we created with 35mm film and instant film, including simplistic scratchy film textures. Note: some textures are available only as further in-app purchases – see below for details. Transform your photos with our rotating tool, vertical and horizontal flipping tools. We provide a list of 79 different simplistic and adjustable frames, paired perfectly with Instagram. Note: some frames are available only as further in-app purchases – see below for details. 1) Instant Film Pack: This pack includes 22 new textures and 7 new frames, inspired by and created with instant film. This will be a growing pack and receive new content in future updates. 2) The wallpaper pack gives you access to 18 hand-drawn wallpapers you can apply to frames, for a unique look! This is a growing pack that will receive new content in future releases.